Click the button below to add the CABLE COVER RACEWAY ORGANIZER MANAGEMENT KIT FOR FLAT SCREEN TV MOUNTS 29 inches to your wish list. Route cables along the rail and slide in the cover for a perfect look. This cable cover will help you to organize that tangled mess behind your computer desk or home theater rack with these cable management. 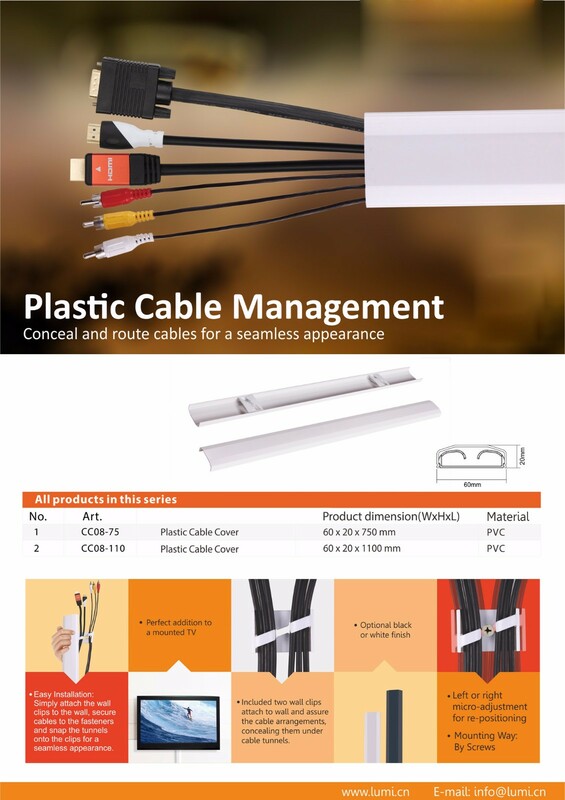 Uniquely designed wall clips attach to wall and secure even the most complex cable arrangements, discreetly concealing them under cable tunnels. Easy installation: attach wall clips to wall, fasten cables into place and snap tunnels onto wall clips for a seamless appearance. Make your cable runs look like they were professionally installed with this professional cable management.